Deciding to invest in new kitchen cabinets is an exciting endeavor for most homeowners. However, failing to plan can often result in an outcome they aren’t completely satisfied with or result in more updates. No matter what your overall design goal is, we are confident that we can help. Installing new cabinets can be costly if you don’t do your homework. Take the time to determine what cabinets would work best for you before committing to them. When you start looking at sample cabinets, take these 3 considerations into account to ensure you buy the right ones. The budget you have for your cabinet project is undoubtedly one of the most important considerations you will have. Creating a realistic budget can help ensure that you are able to stay within your means and avoid overpaying. Take the time to find a budget you are comfortable with and then find cabinet options that meet it. Many homeowners will update their cabinets to help modernize or enhance their existing kitchen. However, depending on the layout of your kitchen, you may be able to increase the storage space available. 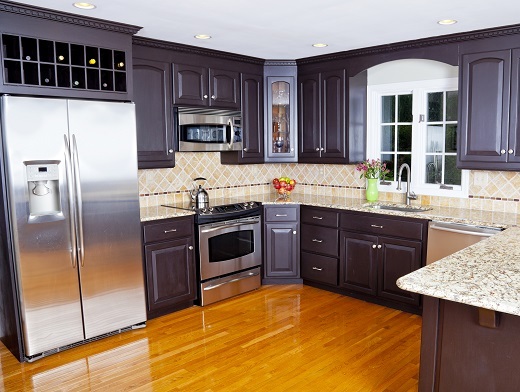 If you are unsure of how to best layout your cabinets, don’t be afraid to ask for help. The Experts at TimCo Construction can help make sure your kitchen is functional and attractive for years to come! Why TimCo Construction for Kitchen Cabinet Installation?